The Nauticast B2 is a fully certified class B AIS device designed for leisure-craft and all other non-Solas vessels. Certification by established Notified Bodies in Europe as well as German BSH (Bundesamt für Seeschifffahrt und Hydrographie), US Coast Guard and FCC guarantee compliance with all relevant AIS and electrical standards to give the owner many years of trouble-free operation. Its attractive design with detachable mounting plate makes the Nauticast B2 the perfect companion for your safety at sea. The Nauticast B2 is designed and developed by Nauticast in Austria, based on almost 20 years of experience in professional AIS devices. Manufacturing by a partner company takes place at an automotive certified plant in Austria according to highest quality standards and latest electronic production technology. 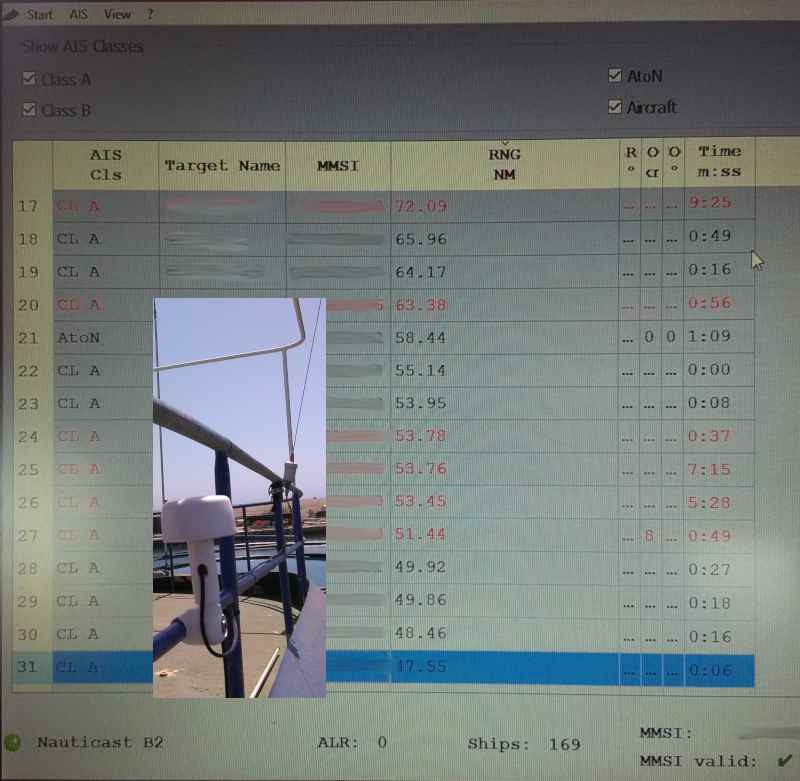 Every Nauticast B2 has to pass an acceptance test covering 37 individual test to guarantee that everything works perfectly. Vhf settings are optimized individually for every device to account for smallest production deviations. 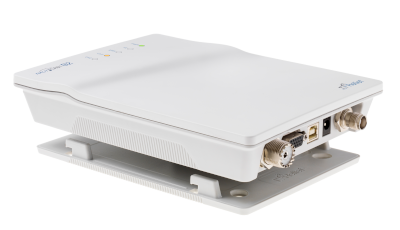 While the AIS standard for class A and class B demands reception of 80% of the messages at a signal level of -107dBm, the Nauticast B2 standard is 90% at -110dBm, which is only half the signal level. The following picture is taken from Link2AIS in a recent Nauticast B2 installation. The Nauticast B2 receives targets at a range of more than 70 NM or 130 km. And there is still room to improve the antenna location and hence reception. 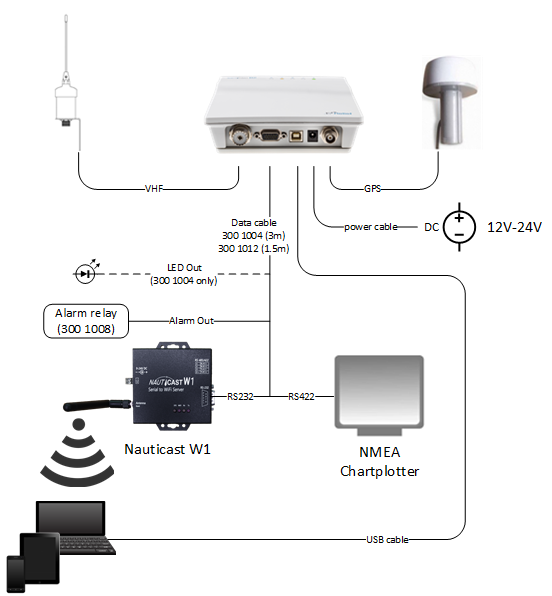 Its NMEA and USB ports will integrate the Nauticast B2 easily into any marine network. See the following exhibit for a sample on connection options. USB data card containing documentation and manuals in English, German, French, Dutch, Spanish and Polish. Link2AIS Software (for Windows) on USB data card. LinksAIS makes device configuration (for static data) and monitoring easy. 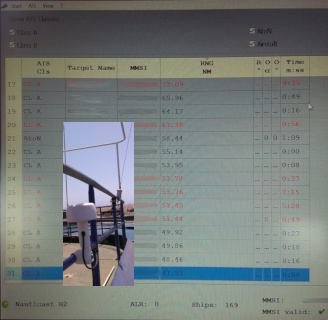 It can be used to put the Nauticast B2 into silent mode and monitor marine traffic in list format and as chart overlay including collision warning. Integrated language support: English, German, French, Dutch.